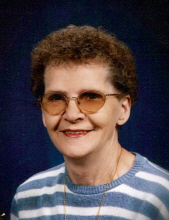 Isabelle Yeaman, 87, of Windsor, IL passed away peacefully at 6:30 a.m. on Saturday, March 23, 2019 at home with her loved ones by her side. Isabelle was born June 7, 1931, in Roodhouse, IL, the daughter of Henry and Gertrude (Moore) Newingham. She married Francis Yeaman on May 28, 1960 in Edinburg, IL and together they owned and operated Yeaman’s Laundromat and Trailer Park for 18 years before Francis’s passing on September 27, 1999. Isabelle sold Avon for many years, was a NASCAR fan with Jeff Gordon being her favorite driver, avid Chicago Cubs fan and treasured time spent with family. Funeral services will be held at 10:30 a.m. on Wednesday, March 27, 2019 at Lovins-Lockart Funeral Home in Windsor with Reverend Richard Eident officiating. Burial will take place in Windsor Cemetery. Visitation will be from 6:00-8:00 p.m. on Tuesday, March 26, 2019 at Lovins-Lockart Funeral Home in Windsor. Memorials may be made in Isabelle’s name to Sarah Bush Lincolnland Hospice. To send flowers or a remembrance gift to the family of Isabelle Yeaman, please visit our Tribute Store. "Email Address" would like to share the life celebration of Isabelle Yeaman. Click on the "link" to go to share a favorite memory or leave a condolence message for the family.